July 12, the American Civil Liberties Union of Michigan, along with eight students, filed a lawsuit against the state and the Highland Park School District for failing to see that children were reading at their grade level. My name is Quemtin and you can make the school gooder by geting people that will do the jod that is pay for get a football tame for the kinds mybe a baksball tamoe get a other jamtacher for the school get a lot of tacher. Quentin attends a school that is struggling to balance its books, where poverty is rampant and little inovation is tried to get it back on track. Poverty among children in America is shamefully high. According to a UNICEF report, U.S. child poverty rate is 23.1 percent — higher than any other economically advanced nation except Romania. …nearly all of the high-poverty urban school districts that have improved still have graduation rates below the national average. Too many graduates are still unprepared for the needs of college and high-wage employment. School budgets are tied to property taxes. This is why schools in poor neighborhoods get about half as much money per student than schools in affluent neighborhoods. To make generational progress for students from low-income families and prepare them to be successful in secondary and post-secondary education, many say change must be student-centered. But nationally, education standards are intimately tied to income. It is clear the link between environments in which economic struggle is rampant directly impact educational success in the classroom. This inability to perform in schools, then impacts how competitive American students will be in the workplace. The edge is not yet lost, however, if the United States can figure out how to maintain its education standards and do something about students struggling with poverty, the report states. 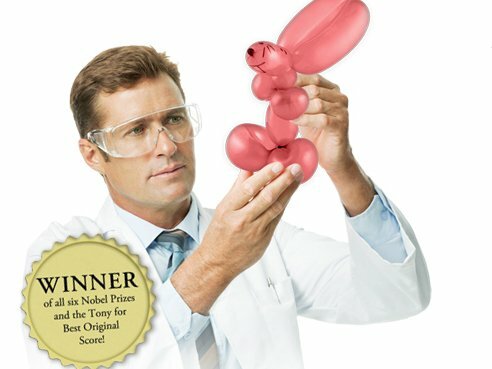 Fake Science 101: A Less-Than-Factual Guide to Our Amazing World has been banned by the Houston Independent School District, the Houston Press blog Hair Balls reports. “Fake Science” boasts over 46,000 Facebook fans, but an HISD administrator is not one of them. I received one such request for an alternative textbook “Fake Science 101.” I am aware how it would be used, but we are concerned it will reflect poorly on the district. A book like that may be intended humorously, but it is mocking the quality of education in our district. We cannot have our district ridiculed as a non-scientific one (see many Westinghouse/Intel awardees). This book is not permissable for you to distribute or your students to have. 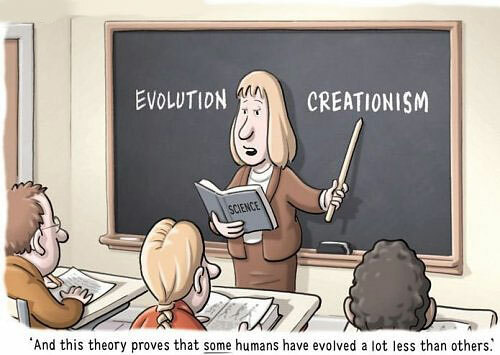 Our textbooks are not “fake” and no textbook should give that impression. It would negatively impact students. Albert Einstein, responsible for the world’s most famous equation and quite possibly the smartest man to ever live, said that “logic will get you from A to B. Imagination will take you everywhere.” With that in mind, surely a child’s imagination is something to cherish and nourish. Enter the public school system. For years public education has been known for its never-ending, claustrophobic hallways and rows of greige lockers, made famous by all of our favorite teen dramas from The Wonder Years to My So-Called Life. 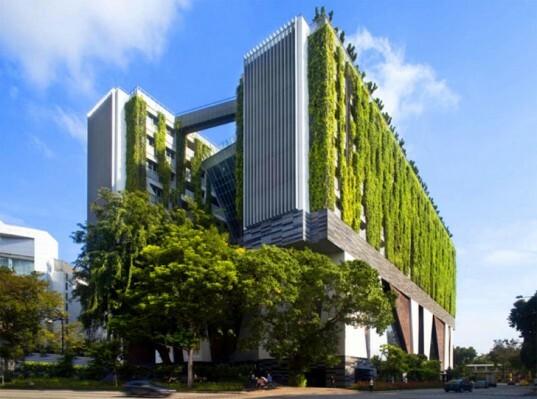 Architects and local governments around the world are now fighting the good fight against dismal, uninspiring schools and the groundbreaking results are re-shaping the learning experience for our future generations. From a colorful kindergarten in Slovenia made out of toy planks that lets kids play with and manipulate their environment to a high school breeding a new generation of environmentalists, click on the link below to check out the future of a free education. One of the most thorough studies of its kind has concluded that smoking too much reefer as a teenager is linked to significant cognitive decline. More frightening still: the effects could be permanent. Here’s everything you need to know about the study’s findings. There are several things that make this study noteworthy. For instance, following test subjects over the course of four decades allowed Meier and her colleagues to gauge participants’ cognitive abilities before they started smoking weed. The researchers claim this allowed them to rule out pre-existing neuropsychological impairment as an explanation for the link between early-onset marijuana use and subsequent cognitive decline. In other words: if a causative relationship exists between weed and cognitive impairment, it appears to be the pot-use that’s begetting the impairment, not the other way around. mechanism underlying the association between persistent cannabis dependence and neuropsychological decline.” In other words, we’re still dealing in terms of correlation, here. Having said that, the study does go a long way in ruling out a number of alternative explanations that have confounded the results of similar studies linking cannabis and cognitive decline in the past, including hard-drug and alcohol dependence, and the years of education received by users versus non-users. The biggest question raised by this study — how much pot is too much? — points to its limitations. Reports of drug-use in the study were self-reported, which, unlike biological assays (a urine test, for example), are inherently subjective. But the question of “how much” is arguable less important than “when,” or “what age?” The fact that cognitive impairment was detected in adolescent-onset smokers and not adult-onset smokers is highly suggestive that weed has a neurotoxic effect on the developing adolescent brain (what Meier and her colleagues refer to as the “developmental vulnerability hypothesis”), a conclusion that gels with a number of previous studies. The researchers’ findings are published in the latest issue ofProceedings of the National Academy of Science. A genuine piece of America passed away on Saturday. The man who really, truly boldly went where no man had gone before — Neil Armstrong, the first human being ever to leave the confines of Earth and set foot on any extraterrestrial body (that being the moon) was gathered up for one last voyage to the stars and beyond. Interestingly and coincidentally, I was at a dinner with a large group on Friday evening where some of the younger people in attendance brought up the subject of whether man had ever in fact landed on the moon. The various Hollywood sound stage conspiracy theories ricocheted across the room when I felt compelled to inform those born after the 1970s that, like 600 million people in July 1969, I was a witness to history. I was an 11 -ear-old camper at a place called Camp Equinunk in rural Wayne County, Pennsylvania and they had a hotel atop a hill where parents would stay when visiting. This hotel had a big dining room and a large (well, for that time) 25-inch tube-fired TV which was wheeled in and about 100 of us got to watch the moon landing in real time in living black and white. There are nutty revisionists and deniers who feel the whole thing (and subsequent moon landings) were completely contrived, but I know what I saw. As a kid, to me it seemed that America in 1969 was a magical place of infinite possibilities. Aside from the moon landing, what could be more improbable than the expansion New York Mets winning the World Series or the expansion AFL New York Jets winning the Super Bowl? It was a time of Captain Kirk and Mr. Spock on NBC, Larry Hagman as Major Anthony Nelson as the bemused astronaut on I Dream of Jeannie, Dr. Smith mucking things up in Lost in Space and Charlton Heston battling for the dignity of humanity in the first Planet of the Apes movie, which I saw for the first time that summer while lying on a blanket in the social hall of the aforementioned sleep away camp. To paraphrase Tom Wolfe, America to us kids at that time seemed like a “country in full.” Yes, the Vietnam War was raging but this concerned people seven to 10 years older than me and the other kids playing ball out in the street in front of our houses. We were busy living never-ending “Pleasant Valley Sundays,” riding our Schwinn Stingrays to the candy store. Our parents drove Pontiacs and Oldsmobiles in snot green or dark orange with black vinyl tops. A slice of pizza was a quarter and you could get an ice cream pop for ten to 15 cents. We collected 45 RPM “singles,” the way people download one song at a time now to their MP3 players and phones. There were but a few television stations, no way to record shows and we tended to live more of our lives in real time than it seems we do today. In the ’60s we had JFK urging us to land a man on the moon “in this decade and do the other things, not because they are easy, but because they are hard, because that goal will serve to organize and measure the best of our energies and skills, because that challenge is one that we are willing to accept, one we are unwilling to postpone, and one which we intend to win, and the others, too.” It was a time of LBJ prodding America towards civil rights and equality for all its citizens. It was a time of almost unparalleled economic prosperity and opportunity where we as a country dreamed big dreams and actually fulfilled a good many of them. Neil Armstrong was the physical embodiment of the metaphors for Americans in the ’60s. He was handsome, heroic, modest and self-effacing. He was a man of few words and great deeds and those few words, “one small step for man, one giant leap for mankind” in a sense were the preamble for the age of high technology that the space race ushered in, to a point where we now hold in our hands everyday the kind of gadgets that we used to see imagined on TV and in the movies. Armstrong was the “all-American boy,” the paradigm for what so many of us then young boys aspired to be regardless of our backgrounds, ethnicity or science skills. 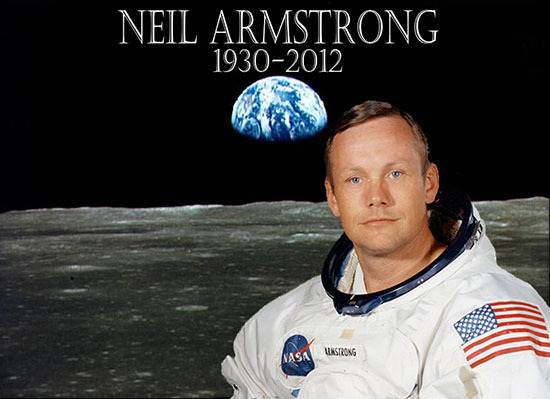 Armstrong represented an America of really big dreams and of infinite possibility. Today, what passes for discourse in this country? Celebrity divorces? Politicians vilifying and dehumanizing one another over the relative merits of the federal budget? For that kid sitting cross-legged on the floor that July evening in 1969 it seemed as though there was nothing America couldn’t do. Simon and Garfunkel asked “where have you gone Joe DiMaggio?” For us in our time, it might very well be “where have you gone Neil Armstrong?” We hope he’s looking down on us from that big lunar module in the sky and puts in a good word for America with celestial “mission control,” because if our country deserves blessings going forward it’s in part due to the kind of people we’ve produced like Neil Armstrong. In a well-publicized paper that addressed why some students were not learning to read, Reid Lyon (2001) concluded that children from disadvantaged backgrounds where early childhood education was not available failed to read because they did not receive effective instruction in the early grades. Many of these children then required special education services to make up for this early failure in reading instruction, which were by and large instruction in phonics as the means of decoding. Some of these students had no specific learning disability other than lack of access to effective instruction. These findings are significant because a similar dynamic is at play in math education: the effective treatment for many students who would otherwise be labeled learning disabled is also the effective preventative measure. Over the past several decades, math education in the United States has shifted from the traditional model of math instruction to “reform math”. The traditional model has been criticized for relying on rote memorization rather than conceptual understanding. Calling the traditional approach “skills based”, math reformers deride it and claim that it teaches students only how to follow the teacher’s direction in solving routine problems, but does not teach students how to think critically or to solve non-routine problems. Traditional/skills-based teaching, the argument goes, doesn’t meet the demands of our 21st century world. As I’ve discussed elsewhere, the criticism of traditional math teaching is based largely on a mischaracterization of how it is/has been taught, and misrepresented as having failed thousands of students in math education despite evidence of its effectiveness in the 1940’s, 50’s and 60’s. Reacting to this characterization of the traditional model, math reformers promote a teaching approach in which understanding and process dominate over content. In lower grades, mental math and number sense are emphasized before students are fluent with procedures and number facts. Procedural fluency is seldom achieved. 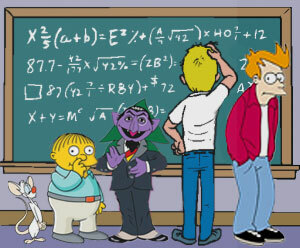 In lieu of the standard methods for adding/subtracting, multiplying and dividing, in some programs students are taught strategies and alternative methods. Whole class and teacher-led explicit instruction (and even teacher-led discovery) has given way to what the education establishment believes is superior: students working in groups in a collaborative learning environment. Classrooms have become student-centered and inquiry-based. The grouping of students by ability has almost entirely disappeared in the lower grades—full inclusion has become the norm. Reformers dismiss the possibility that understanding and discovery can be achieved by students working on sets of math problems individually and that procedural fluency is a prerequisite to understanding. Much of the education establishment now believes it is the other way around; if students have the understanding, then the need to work many problems (which they term “drill and kill”) can be avoided. The de-emphasis on mastery of basic facts, skills and procedures has met with growing opposition, not only from parents but also from university mathematicians. At a recent conference on math education held in Winnipeg, math professor Stephen Wilson from Johns Hopkins University said, much to the consternation of the educationists on the panel, that “the way mathematicians learn is to learn how to do it first and then figure out how it works later.” This sentiment was also echoed in an article written by Keith Devlin (2006). Such opposition has had limited success, however, in turning the tide away from reform approaches. Students struggling in math may not have an actual learning disability but may be in the category termed “low achieving” (LA). Recent studies have begun to distinguish between students who are LA and those who have mathematical learning disabilities (MLD). Geary (2004) states that LA students don’t have any serious cognitive deficits that would prevent them from learning math with appropriate instruction. Students with MLD, however, (about 5-6% of students) do appear to have both general (working memory) and specific (fact retrieval) deficits that result in a real learning disability. Among other reasons, ineffective instruction, may account for the subset of LA students struggling in mathematics. The Individuals with Disabilities Education Act (IDEA) initially established the criteria by which students are designated as “learning disabled”. IDEA was reauthorized in 2004 and renamed the Individuals with Disabilities Education Improvement Act (IDEIA). The reauthorized act changed the criteria by which learning disabilities are defined and removed the requirements of the “significant discrepancy” formula. That formula identified students as learning disabled if they performed significantly worse in school than indicated by their cognitive potential as measured by IQ. IDEIA required instead that states must permit districts to adopt alternative models including the “Response to Intervention” (RtI) model in which struggling students are pulled out of class and given alternative instruction. What type of alternative instruction is effective? A popular textbook on special education (Rosenberg, et. al, 2008), notes that up to 50% of students with learning disabilities have been shown to overcome their learning difficulties when given explicit instruction. This idea is echoed by others and has become the mainstay of RtI. What Works Clearinghouse finds strong evidence that explicit instruction is an effective intervention, stating: “Instruction during the intervention should be explicit and systematic. This includes providing models of proficient problem solving, verbalization of thought processes, guided practice, corrective feedback, and frequent cumulative review”. Also, the final report of the President’s National Math Advisory Panel states: “Explicit instruction with students who have mathematical difficulties has shown consistently positive effects on performance with word problems and computation. Results are consistent for students with learning disabilities, as well as other students who perform in the lowest third of a typical class.” (p. xxiii). The treatment for low achieving, learning disabled and otherwise struggling students in math thus includes some of the traditional methods for teaching math that have been decried by reformers as having failed millions of students. Although the number of students classified as learning disabled has grown since 1976, the number of students classified as LD since the passage of IDEIA has decreased (see Figure 1). Why the decrease has occurred is not clear. A number of factors may be at play. One may be a provision of No Child Left Behind that allows schools with low numbers of special-education students to avoid reporting the academic progress of those students. Other factors include more charter schools, expanded access to preschools, improved technologies, and greater understanding of which students need specialized services. Last but not least, the decrease may also be due to targeted RtI programs that have reduced the identification of struggling and/or low achieving students as learning disabled. .
Having seen the results of ineffective math curricula and pedagogy as well as having worked with the casualties of such educational experiments, I have no difficulty assuming that RtI plays a significant role in reducing the identification of students with learning disabilities. In my opinion it is only a matter of time before high-quality research and the best professional judgment and experience of accomplished classroom teachers verify it. Such research should include 1) the effect of collaborative/group work compared to individual work, including the effect of grouping on students who may have difficulty socially; 2) the degree to which students on the autistic spectrum (as well as those with other learning disabilities) may depend on direct, structured, systematic instruction; 3) the effect of explicit and systematic instruction of procedures, skills and problem solving, compared with inquiry-based approaches; 4) the effect of sequential and logical presentation of topics that require mastery of specific skills, compared with a spiral approaches to topics that do not lead to closure and 5) Identifying which conditions result in student-led/teacher-facilitated discovery, inquiry-based, and problem-based learning having a positive effect, compared with teacher-led discovery, inquiry-based and problem-based learning. Would such research show that the use of RtI is higher in schools that rely on programs that are low on skills and content but high on trendy unproven techniques and which promise to build critical thinking and higher order thinking skills? If so, shouldn’t we be doing more of the RtI style of teaching in the first place instead of waiting to heal reform math’s casualties? Until any such research is in, the educational establishment will continue to resist recognizing the merits of traditional math teaching. One education professor with whom I spoke stated that the RtI model fits mathematics for the 1960s, when “skills throughout the K-8 spectrum were the main focus of instruction and is seriously out of date.” Another reformer argued that reform curricula require a good deal of conceptual understanding and that students have to do more than solve word problems. These confident statements assume that traditional methods—and the methods used in RtI—do not provide this understanding. In their view, students who respond to more explicit instruction constitute a group who may simply learn better on a superficial level. Based on these views, I fear that RtI will incorporate the pedagogical features of reform math that has resulted in the use of RtI in the first place. While the criticism of traditional methods may have merit for those occasions when it has been taught poorly, the fact that traditional math has been taught badly doesn’t mean we should give up on teaching it properly. Without sufficient skills, critical thinking doesn’t amount to much more than a sound bite. If in fact there is an increasing trend toward effective math instruction, it will have to be stealth enough to fly underneath the radar of the dominant edu-reformers. Unless and until this happens, the thoughtworld of the well-intentioned educational establishment will prevail. Parents and professionals who benefitted from traditional teaching techniques and environments will remain on the outside — and the public will continue to be outwitted by stupidity. Barry Garelick has written extensively about math education in various publications including Education Next, Educational Leadership, and Education News. He recently retired from the federal government and has completed his requirements for a credential to teach math (middle school/high school) in California. 1This article focuses on math teaching and learning, but the same pedagogical issues arise in history, science, and English Language Arts (ELA), including grammar, spelling, composition, reading comprehension and literature. Devlin, Keith. (2006). Math back in forefront, but debate lingers on how to teach it. San Jose Mercury News. Feb. 19. Lyon, Reid (2001), in “Rethinking special education for a new century” (Chapter 12) by Chester Finn, et al., Thomas B. Fordham Foundation; Progressive Policy Inst., Washington, DC. Rosenberg, Michael S., Westling, D.L., McLeskey, J. 2008. Special Education for Today’s Teachers: An Introduction. Columbus: Pearson, Merrill Prentice Hall. 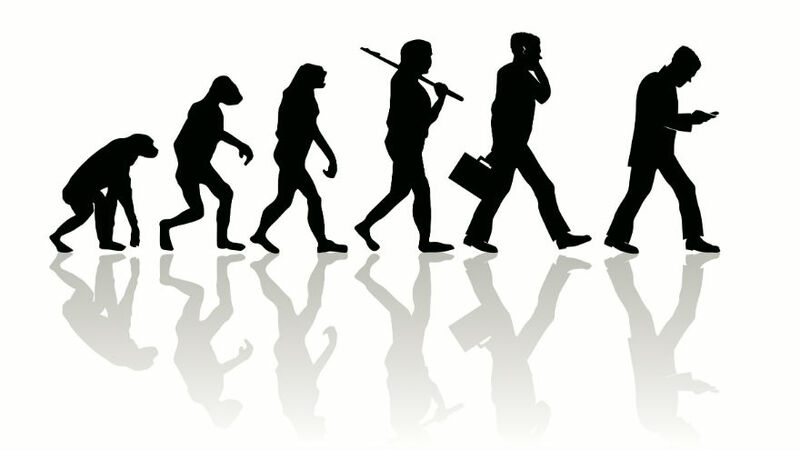 Evolution is the fundamental idea in all of life science, in all of biology. 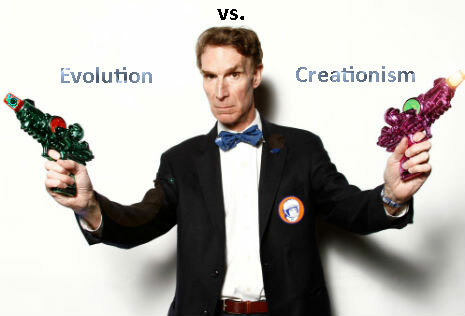 According to Bill Nye, aka the science guy, if grownups want to “deny evolution and live in a world that’s completely inconsistent with everything we observe in the universe, that’s fine, but don’t make your kids do it because we need them.” The denial of evolution may be holding society back, so according to Nye, the answer lies in cutting our losses, favoring science education in our youth over stagnant arguments with benighted adults. It’s an interesting modus operandi, but perhaps one worthy of consideration. Many in the education world were surprised, and a bit puzzled, to learn last week that dozens of incidents of plagiarism had been reported among students enrolled in the free online courses offered by Coursera. Coursera is the online venture that has partnered with Stanford, Princeton and other elite institutions of higher education to offer web versions of popular courses to the public. The instances of plagiarism, which apparently occurred in at least three Coursera courses, were discovered by fellow students engaged in “peer grading,” evaluating their classmates’ assignments. The professor teaching one of the courses posted a message imploring his students to stop copying others’ work without attribution. Plagiarism is regrettably common among students enrolled in traditional classes, of course. 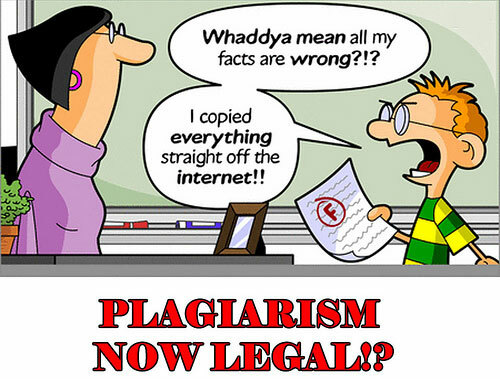 A survey released last year by the Pew Research Center found that plagiarism among college students is at an all-time high. The motive behind such cheating, one assumes, is to procure a higher grade with less effort. But the Coursera students were not taking their courses for a grade, or even for credit. They were taking the classes only for their own edification — a fact that unexpectedly illuminates an aspect of plagiarism that is often missed. In addition to cheating professors who expect original work, classmates who toiled over essays of their own, and writers who presume their words will appear under their own names, plagiarists also defraud themselves. Lifting the labor of someone else’s mind is the opposite of real learning. Cognitive science research demonstrates that the acquisition of “deep knowledge” of a subject — knowledge that is stored in our memories long-term and that can be flexibly applied to new situations as well as familiar ones — depends on two conditions. The second condition for acquiring deep knowledge is making connections among the various pieces of information we’re learning, and between this new knowledge and the knowledge we previously possessed. Here again, plagiarists have given themselves little opportunity to discover connections or to bind the new information to their memories by tying to things they already know. Students who plagiarize in an ungraded course are getting away with nothing at all: no lasting memories, no profound understanding. Like a thief who steals an empty safe, they make for easy objects of derision. But while many of us know better than to pass off another person’s work as our own, we think little of engaging in the intellectual equivalent of cutting and pasting. How many times have you borrowed the opinion of a political pundit? How often have you retailed the wisdom of a best-selling book or an expert on TV? The ethical infraction is minor, but the crime against our intellectual lives is great. Every time we mentally skim the surface, every time we allow someone else to do thinking, we miss a chance to develop deep knowledge. Even without a grade, it counts. Today’s SAT prep question (and answer): Ayn Rand: (is to) philosophy (as) Chuck E.Cheese:(is to) fine dining. Even at age 16, when I waded through Atlas Shrugged out of curiosity, I experienced her worldview as cartoonish, filled with absurd caricatures, and about as philosophically sophisticated as a Batman episode. Complex human issues cannot be effectively addressed by seeing the world in heroes and villains, black and white, absolute right and wrong. The anti-intellectual climate in America, particularly as seen in the Romney/Ryan candidacy, poses a grave threat to the future of our democratic republic. Paul Ryan derives his worldview from Catholicism and Ayn Rand, the Odd Couple of philosophical guideposts. This inconsistency alone should raise grave doubts about Ryan’s capacity for critical thought. The direst threat to our national well-being is posed by the Romney/Ryan highly selective embrace of Ayn Rand’s so-called philosophy. While avoiding her atheism and other inconvenient dimensions of her amateurish objectivism, the GOP ticket embodies the Randian notion of rugged individualism. This election may present the most profound political choice of our lifetime. Nowhere is this threat more acutely realized than in education. Vouchers are proposed as a means to provide choice and “equal opportunity” to all American families. The language used by the GOP is disingenuous and manipulative. Counseled by pollster and image consultant Frank Luntz, the phrase “opportunity scholarship” replaces “voucher.” But this is a big lie. Every voucher program currently in place (or proposed) provides a level of funding that is insufficient for enrollment at the schools attended by the children of the politicians and policy wonks who foist the programs on a gullible public. School vouchers will provide a bare subsistence education at poorer schools, while those of greater means can buy a “better” education in the free market, particularly the rapidly expanding market of for-profit schools. This is a natural and pleasing outcome in a society committed to rugged individualism. The current kerfuffle over Medicare contains the same radioactive seeds. The essence of the Romney/Ryan approach is identical to that of education: vouchers. Perhaps these will soon be rebranded as “health opportunity scholarships.” Rational analysis of a voucher program yields the conclusion that an individual’s access to health care would vary according to wealth. As with education, vouchers would provide a bare subsistence level of health care with supplementary benefits accruing only to those who could afford them. In a society committed to rugged individualism this outcome is desirable too. Privatizing Social Security, regressive tax plans, reduced regulation, smaller government, systematic attacks on labor unions, reduced support of public secondary and post-secondary education — all of these things are intended to move from America’s historic social contract to bare knuckles individualism. 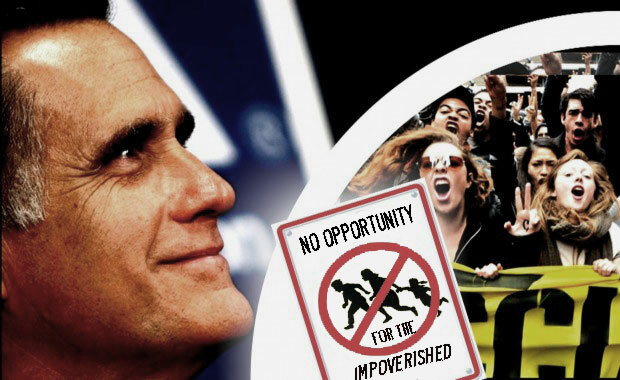 Though the Romney/Ryan Randian lens, collectivism is weakness — nanny state, welfare dependence, affirmative action, wealth redistribution — that throttles the great engine of prosperity, which is driven by noble individual effort and pure merit. For several hundred years our nation has refined an elegant balance between the promise of individual opportunity and our obligation to one another. But if the GOP prevails, this will change. Don’t be hoodwinked. The triumph of Republican rhetoric is that they have convinced millions of Americans to vote against their own interests. The social fabric of America was knit through several centuries of progress. Now it may be unraveled by the persistent Republican pull on this thread. This is the choice offered by Romney/Ryan. It’s a real choice, and I wish they’d just be honest about it. I’d fare rather well in their world, being a privileged white man with good income and a relatively secure retirement on the horizon. But I’ve never mistaken my good fortune for merit alone. I was born with privileges (not into great wealth — my father was a college professor) that the majority of Americans don’t enjoy. But when Romney/Ryan et al. mouth platitudes about the well-being of all Americans, they are fundamentally dishonest. They intend to recalibrate this balance and further reshape America to a place where you sink or swim on your own supposed merit. We shouldn’t be surprised. Both of these wealthy white men are doing swimmingly well and apparently have no awareness of the raft of privileges they inherited. 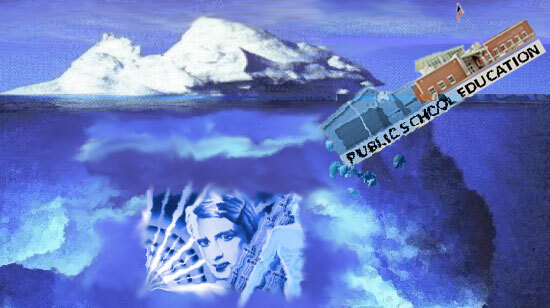 Those who support school choice initiatives are wittingly or unwittingly complicit in the disintegration of the great American experiment. Existential Ability to consider/think about topics which exist beyond our senses. Topics may include religion, space, time. 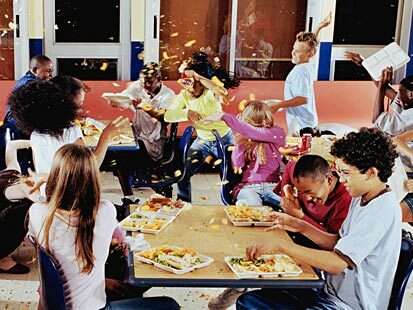 Interpersonal Ability to interact with others. People with interpersonal skills communicate well with others and are empathetic to their emotional needs. Intrapersonal Ability to self-reflect. People with intrapersonal skills understand their own strengths and limitations. Kinesthetic Ability to control one’s physical skills. People with kinesthetic intelligence are normally athletic. Linguistic Ability to speak or write well. People with linguistic skills express themselves well and may more easily master new languages. Logical/Mathematical Ability to work well with numbers. People with linguistic skills do well in math and careers such as computer programming. Musical Ability to sing, play one or more instruments, or work with rhythm and tones. People with musical intelligence may also possess greater skill for learning new languages. Naturalistic Ability to interact well with one’s surrounding environment. People with naturalistic intelligence enjoy being outside — in nature. Spatial Ability to think abstractly. People with spatial intelligence may see shapes, spaces, colors, differently. 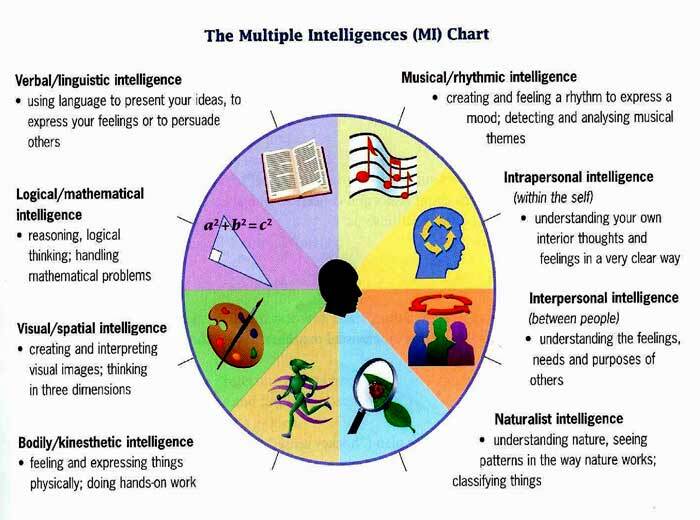 As parents and teachers describe a child’s progress, they should frame their discussion in terms of Gardner’s multiple intelligences. A child who learns math quickly, may struggle with physical activities (kinesthetic intelligence), of vice versa. By assessing a child’s development with respect to the larger context of multiple intelligences, we can obtain more specific measures about the child’s skill set. To help you better understand multiple intelligences, Head of the Class created a multimedia presentation here.